The following are the highly recommended Salah - Sunnah or Nafl - that a practicing Muslim is advised to perform daily. These are obviously proven from several Sahih Hadith and Our Prophet (pbuh) diligently instructed his followers to perform these optional prayers. So what you read below are "voluntary" Salah over and above the 5 mandatory Fardh prayer. 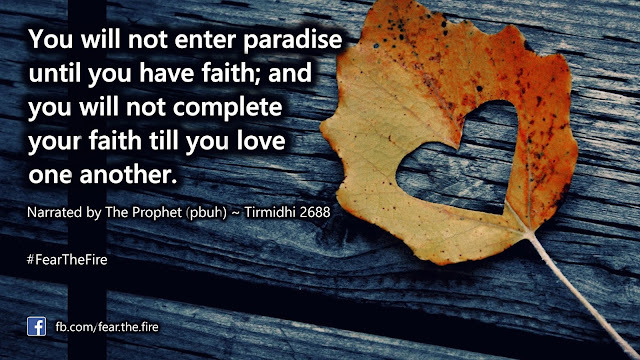 On what grounds do we say these will ensure Paradise? Because one cannot follow these voluntary prayer unless, a Muslim is steadfast in Fardh (mandatory) Salah. More so even though someone diligently prays 5 times a day, the Taqwa (or fear of Allah) would have made him follow other mandatory obligations prescribed by Allah and Prophet Muhammad (pbuh). Given that a Muslim fulfills all his duties sincerely it is assumed that he is of a high moral character. With that context it is not possible for the practicing (opportunist) Muslim to ignore the following six voluntary prayers. The Prophet (pbuh) said: “The best prayer after the obligatory prayer is prayer at night.” ~ Muslim 1163. "Abdullah is a good man. I wish he prayed Tahajjud." Upon hearing the statement from the Prophet, this father never missed Tahajjud prayer in his life. Tahajjud (or Qiyaam al-Layl) is a highly recommended Sunnah. Many texts from the Quran and Sunnah encourage praying it and speak of its high status and great reward. Tahajjud plays a great role in strengthening one's faith and helping one to do good deeds. Thus praying at night, particularly the last part of the night, is most virtuous as it is the time when the prayers are accepted by Allah. 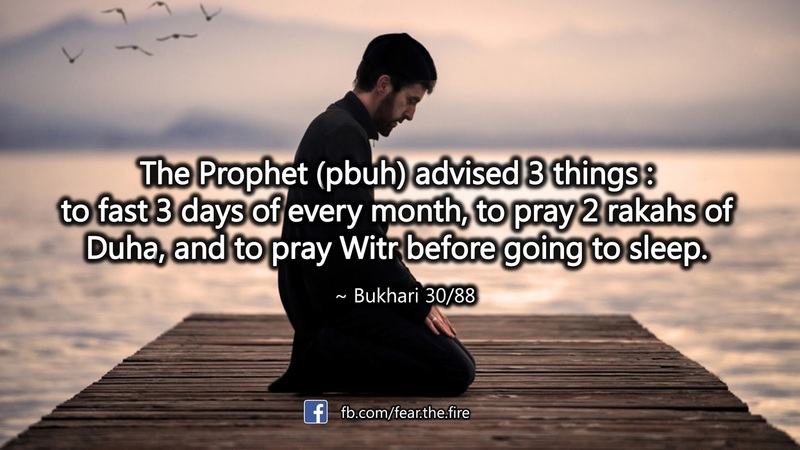 One can pray 2 to 13 rakaats, (including Witr). The Prophet (pbuh) said, “A house will be built in paradise for every Muslim who offers 12 rakah of optional salah other than the obligatory salah in day and night, to seek pleasure of Allah.” ~ Muslim. A minimum two rakat is prescribed for Duha. However there are no maximum limit prescribed. In some narration scholars have capped at 8. One can pray as much as one wants. The recommended time is when one quarter of the day has passed (halfway between sunrise) and sun has reached zenith (before zawal). 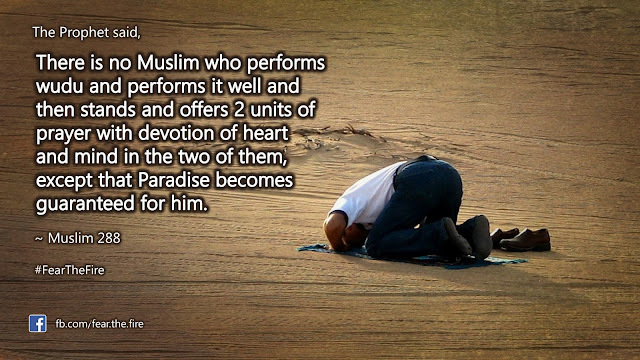 The other name of Duha salah is Salat al-Ishraaq. It is called as such because it is done immediately after sunrise (shurooq) viz. 20 mins after sunrise. So in short, Ishraaq prayer is Duha prayer done at the beginning of its time. It is mustahab (recommended) to stay in the masjid after Fajr prayer until the sun rises, because this is what the Prophet (pbuh) and his companions did, and because there is great reward in that. 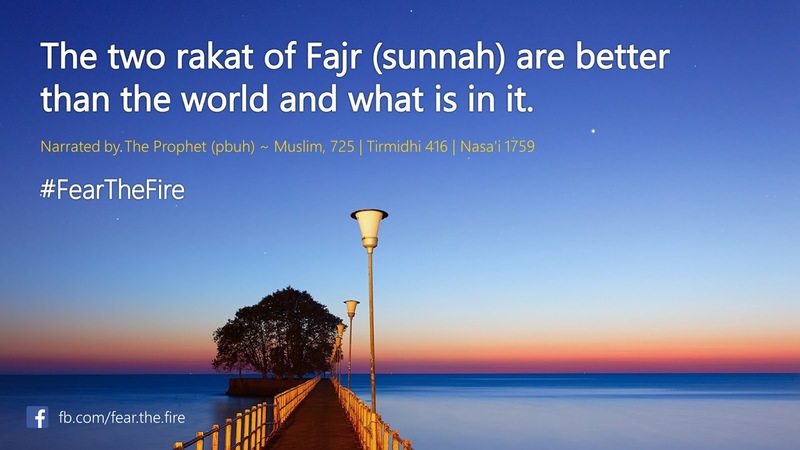 Sahih Muslim (670) has it that when the Prophet (pbuh) had prayed Fajr, he would sit in his prayer place until the sun had risen properly. Tahiyyat-ul-Masjid is a prayer in which 2 nafl rakat are performed at the time of entering the mosque. This prayer contains odd rakat. The Prophet (pbuh) used to pray Witr as 1 rakah, and 3, and 5 and 7 , and 9. 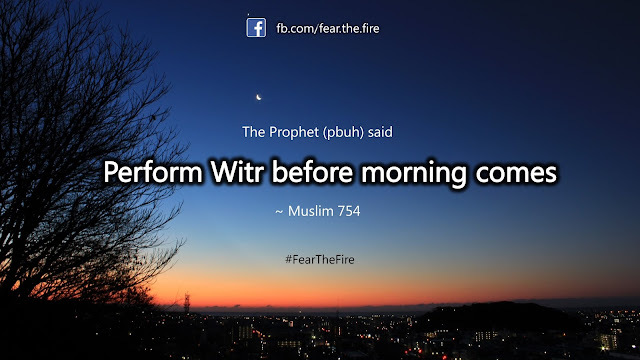 Praying Witr salah anytime after Isha and before Fajr is highly recommended. One should make Witr as the last salah (prayer) at night, because The Prophet (pbuh), “Make Witr as your last salah (prayer) at night.” ~ Bukhari and Muslim. 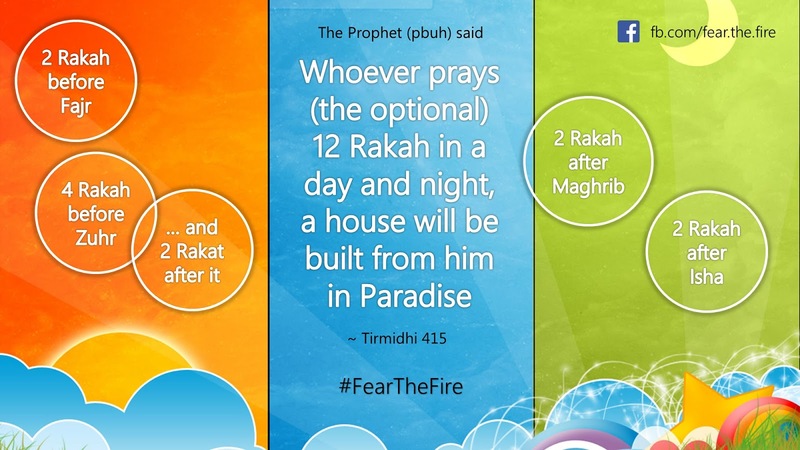 The Prophet (pbuh) said, “Whoever fears that he will not get up at the end of the night, let him pray Witr at the beginning of the night, but whoever thinks that he will be able to get up at the end of the night, let him pray Witr at the end of the night, for prayer at the end of the night is witnessed (by the angels) and that is better.” ~ Muslim 755. With the above hadith, it is advised that ideally one should pray Witr in Tahajjud. However If one thinks he won't be able to get up, then his Witr should be the last prayer of Isha salah. If one performs these regularly, in addition to the mandatory Fardh prayers, one ensures his place in Jannah, if Allah wills. That's because if any Muslim sincerely performs 5 mandatory prayers AND the above listed voluntary prayers, he is likely abstain from other haram or forbidden acts that displeases Allah. Plus, on the day of Qiyamah if the mandatory prayers were not perfect, Allah will ask the Angels to check if the believer has any optional prayer with which the mandatory prayers can be completed. Salat al-Istikhara - Prayer to help you make important decisions of your life. Why Allah tests someone with trails and affliction? Reason #1: You asked for it.